These PVC mini-figures pack a 3-inch punch! 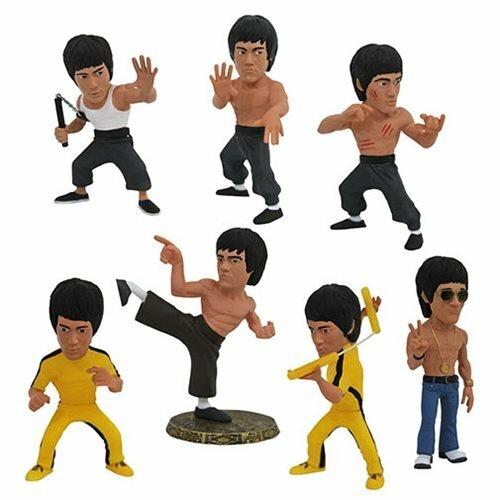 Inspired by the life and looks of Bruce Lee, this assortment of D-Formz mini-figures comes blind-boxed, for a surprise attack with every purchase! With 5x different designs to choose from, plus two rare,one-per-case variants, each display box of 12 contains a full set. Designed and sculpted by BigShot ToyWorks and includes a countertop display. The Bruce Lee D-Formz Blind Mini-Figure Series 1 Case contains 12 individually blind-boxed figures. Twin Peaks Deputy Director Gordon Cole Figure - 2018 Excl.